Rebuild the Matsuguchi house? | Bartok design Co. Rebuild the Matsuguchi house? – Bartok design Co.
After demolishing the elegant and flawless 90 years old Early Showa period house, the sign of the real estate company appeared inesorably on the site. They are going to split the 200 square meters lot in 2 and build prefabricated houses. 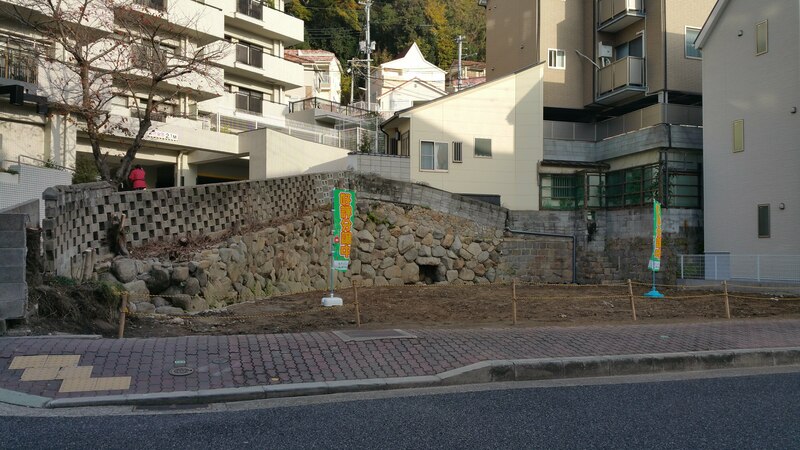 I cannot dare to imagine what will happen to the nice retaining wall and the natural poll where pristine water from Suwayama, the mount dedicated to Venus can be scooped up as needed. Are you interested in buying land in Kobe? Is owning a vacation house in Japan your long caressed dream? If so I can build it for you! My architectural services will be for free. This is the only humble contribution I can put on the table to save this charming property from the cancer who is eating out all japanese territory. I have to face that the gem that was the Matsuguchi-house is gone. But I cannot accept that the best will be replaced by the worst! 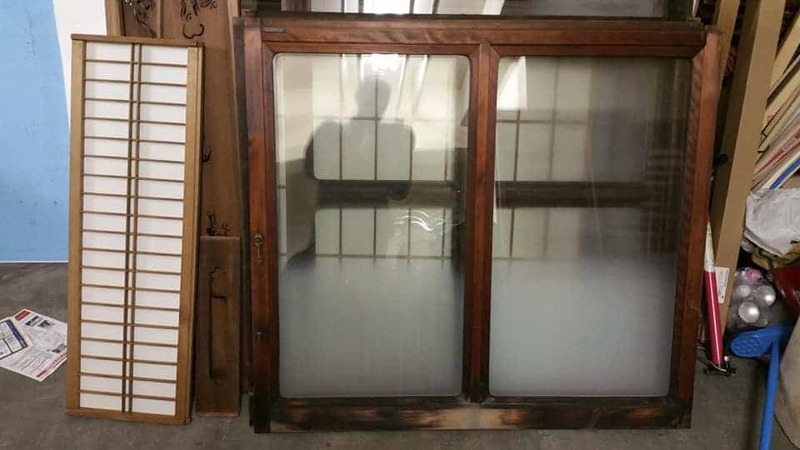 I salvaged almost 80% of the windows and the interior doors of the old house: my dream would be to rebuild the house using traditional techniques and reusing the original doors, stair railing, stone lantern, post box etc! Also the symbolic gesture of being more affirmative than the scrap and build culture, winning over the blind speculation would have a tremendous value. Am I just a dreaming idealist? 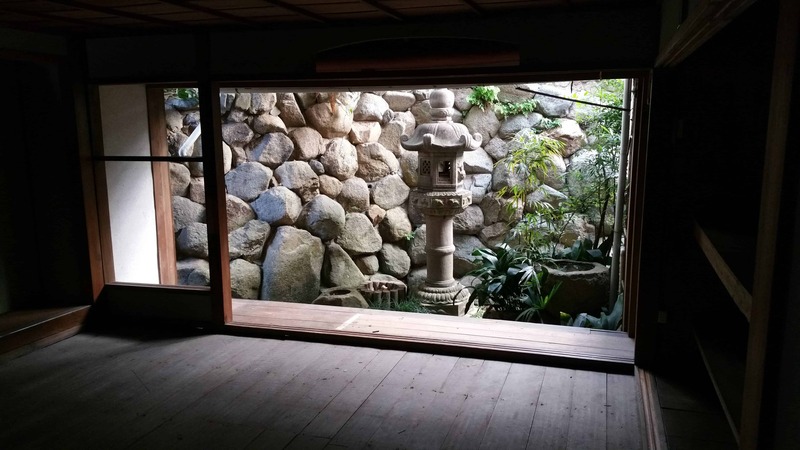 Is there somebody out that is interested in resurrecting the Matsuguchi house? Even stronger and more convenient than before? Of course we could upgrade it with a hinoki bathtub! Overlooking the stone wall and with the lantern and the moss garden! The real estate agent is asking 82 million JPY for the land. Building a house in timberframe costs about 300,000 JPY per square meter so rebuilding the original house would require about 48 million JPY. But of course fancy features would add to the cost. 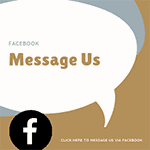 In the link below is a site survey and a zoning plan. The area is located just uphill from Motomachi and the Prefercural office area and was from the past an exclusive residential area. The white condominium on the north side was actually built on the site of the former residence of Kimura Haruo, first major of the city of Ashiya. The real estate agent has an agreement with a builder and they are planning to have the plans approved by mid december. Of course, the more they go ahead with their plan, the more it will be expensive to buy the land out. So if you fell in love with this building (and you have the financial resources to bring it back to life) please contact me as soon as possible.